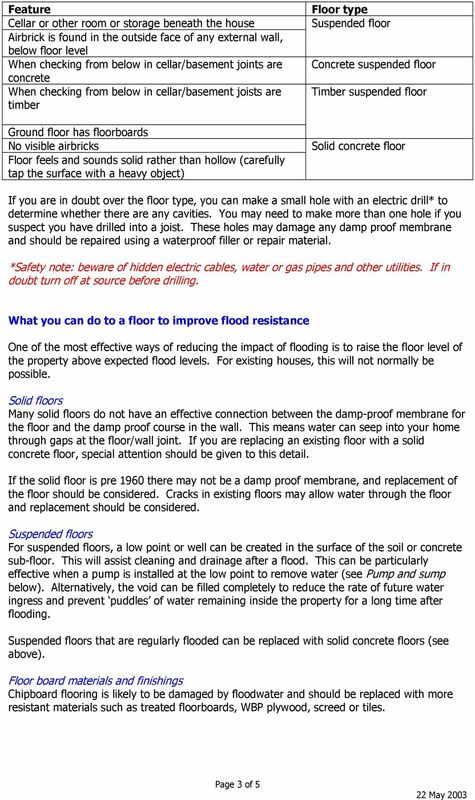 Download "Improving the flood resistance of your home. 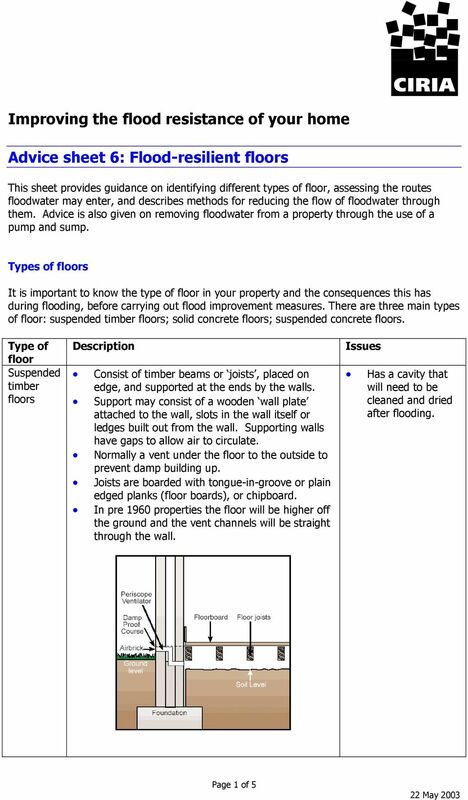 Advice sheet 6: Flood-resilient floors"
Improving the flood resistance of your home. 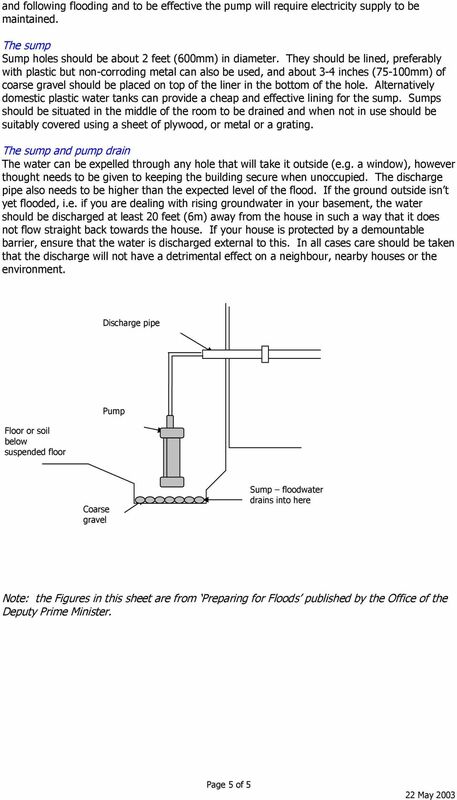 Advice sheet 4: Flood-resilient walls. REPAIR AND RENEW GRANT Guidelines and application form If your home or business has been flooded between 1 December 2013 and 31 March 2014, you may be eligible for help under the Repair and Renew Grant. A Very Brief History of Floors Section A Floor boards with square edges were often draughty. Scullery floor about 150mm below hall floor. Concrete floor to scullery, probably with clay tiles or Stone flags. INTERIOR WALLS AND BASEMENTS CHOOSING THE RIGHT MEMBRANE FOR INTERIOR WALLS. Multi-Layer Technology provides increased strength. 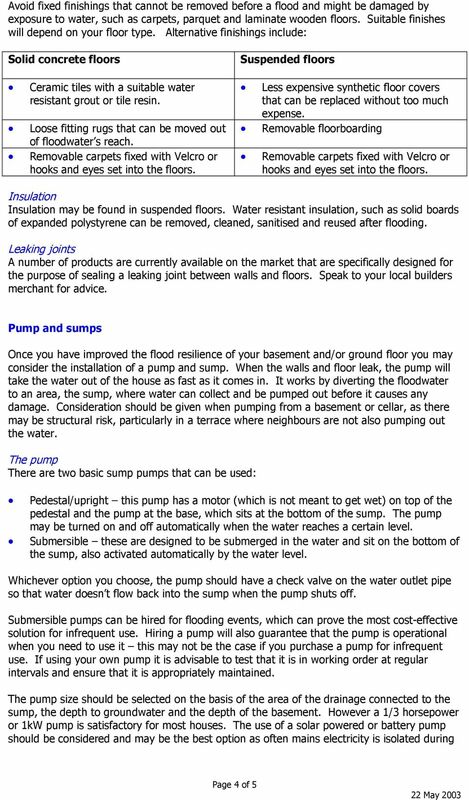 Repairing your business or home after a flood how to limit damage and disruption in the future. Cupped Floor STEP 1. Flooring absorbing excessive moisture on the underside causes expansion and cupping with the edges raised. 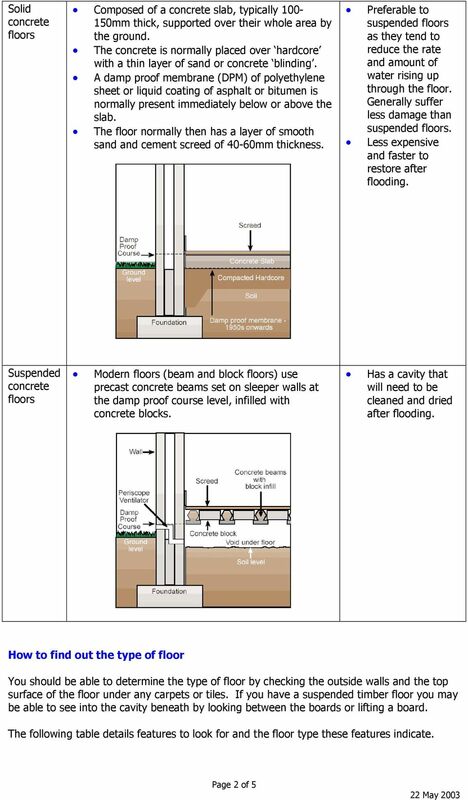 WET/DAMP BASEMENTS ANSWER: BASEMENT WALLS AND FLOORS CAN BECOME WET BY A LEAK, CAPILLARY SUCTION OR CONDENSATION. September 2007. September 2013. Consulting Structural and Civil Engineers. 100 St John Street London EC1M 4EH. info @ akt-uk.com www.akt-uk.